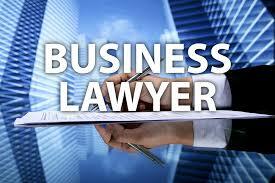 Local New York Small Business Attorneys Or National Law Firms? For any New York based small business, and in fact any small business anywhere in the country that is considering retaining the services of a small business attorney or a law firm, one question that they often seem to have trouble answering, is whether to take on the services of New York Small Business Attorneys or law firm, or alternatively retaining the services of a national and big name lawyer or law firm. It would basically depend on a whole host of things such as the particular nature of the business in question, who, where, what and what type of companies or businesses it has business relationships with, what kind of finances it commands, and much more. All the answers to these questions are what basically should determine whether such a business should seek to consult with a local attorney, or rather one with a national, or even international footprint. The reasoning behind why these “pre” questions first need to be answered before the main question can be answered, is perhaps quite apparent. This is because, perhaps first and foremost, the budget of the small business in question is perhaps the first and most important determinant of if the business in question will have to make do with a local law firm, or if it can afford to hire a national or international, high-profile law firm. In using the words “make do,” this is not to say or imply that a national law firm is always “better” than a local one. Far from it. It however stands to reason that if the business cannot afford a high-profile, multi-location firm, then it obviously will not hire one, but might instead opt to find a local and very possibly much cheaper to hire law firm. However, if it indeed can afford a big time lawyer, the answers to the other questions then come into play in determining whether it should. Just as the saying goes: Just because you can do something does not mean that you should. Let’s take a look at some of these questions in a little detail. The nature of the business in question: The nature and perhaps even the industry such a business operates in can play a very important factor in determining what route to take re hiring a lawyer. Some industries are more highly regulated than others, and consequently, their laws are stricter than others. To this end, you will want to know if a local law firm has the capacity and resources to in finances, manpower and other resources to provide you with what you need. Whether it is investigating something related to your business, business partners, competitors, or anything at all. You need to realize for instance that a national law firm with no local footprint will likely have to send someone from one of their offices to come to the location to do the work if needed, or alternatively hire a local NYC contract attorney or paralegal, and these are some of the things that will quickly rack up your bill. Which reverts back to the original question of how much money resource does the local business command. On the flip side, a local law firm might not have the experienced attorney with the right amount of connections and influence to get you a favorable outcome. So there is a fine balance to be had. Who they do business with and where their business partners are based: A small business that has mainly local business partners and clients might not necessarily need a national law firm, but instead might do better with a local law firm, who might likely be more familiar with the local and legal environment than former would. The vice versa is obviously the same. What type of companies it has business relations with: A small business that has a relationship with various companies in a diverse supply chain must be wary of how exactly they deal with each and every company. This is because each of these companies in these various supply chains are could very possibly operate within, and/or be guided by completely different law that are application to their specific industry. Therefore the way this small business would need to deal with a client who is in the medical industry might be different from the way it deals with a business that primarily operates within the engineering industry. For this reason, it would need to ensure that any law firm it on-boards has sufficient capacity to understand each and every relevant industry and the laws that apply there, to allow it advice its client accordingly and appropriately. From the above, it is perhaps clear for anyone to see that answers to the above questions should be the factors that determine whether a small business should go with local New York small business attorneys or a national law firms. Only once these questions, and very possibly more have been answered by small business owner, would it make sense to attempt to proceed to finding the right law firm that aligns to the answers given to the pre-questions.